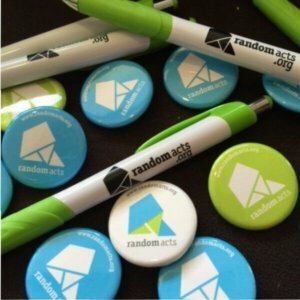 In just a few days’ time, Random Acts will be in Indianapolis! From September 21-23, we will be taking part in the first-ever Supernatural “The Giving Back Tour” convention, which puts the pedal to metal to turbocharge our charitable impact on local communities! Favorite aspects of the convention will be there along with a new Random Acts activity we’re calling the Charitable ConQuest which will bring brand-new opportunities to make a difference for Indianapolis citizens most in need. We’re partnering with Horizon House, a local organization that helps provide hope and help to individuals experiencing homelessness, providing them with life-sustaining resources and aid to improve their circumstances. Horizon House is a full-service agency that connects homeless citizens with integrated, comprehensive services, providing a safe place and basic services for our community homeless, serving them with dignity and respect, as they take steps towards a more stable life. Please make sure to pack a few extra things for Horizon House, as Random Acts will be collecting donations from their wishlist. Please also make room in your suitcase to pack some additional brand new office supplies (Flash drives, notebooks, pens, portfolios, or messenger bags) and at least 2 pairs of brand new socks. You will be needing them. For reasons. Trust us… It’s hard to say what’s going to happen, but it will be an adventure filled with Misha-level shenanigans. We will be in the vendor’s room all weekend, so make sure to stop by and say hello!